When families reach out to me about sleep training there are always a lot of questions about the process. They can be apprehensive about what it all entails and if it will actually work for them, but with some general guidelines sleep training can be successful for everyone. If you are more comfortable with being in the room, then choose a method that allows you to be present. If you think that your presence is doing more harm than good, then take that into consideration as well. Every family is different, and in order to be successful it is critical to take into account the needs of both the child and the parents. I have found that in most instances parents know what to do, they just don’t know how to put a plan in place in order to get the job done. There is a lot of guesswork, worrying if they are approaching it the right way, and wondering if they are missing anything. Taking some time upfront to develop a plan that allows the parents to think through the process and better understand how to handle situations that arise, even at 3:00 AM when they are dead tired and at their wit’s end. 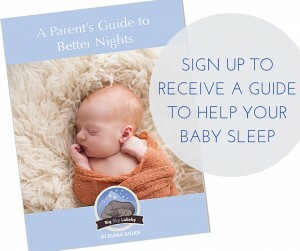 Many people will turn to a sleep consultant after experimenting with sleep training their child. While this is completely understandable, it is important to keep in mind that a child who has never been sleep-trained before will take to the process better than a child who has been through the process, but didn’t succeed. 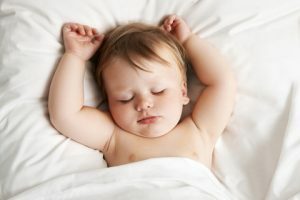 So for parents who want to take sleep training on themselves, my advice is to have a solid plan in place before you start and stay dedicated to it. The drive to sleep is greater at night than it is during the day. This is why it is important to always begin sleep training at night, as opposed to with naps. During the night, their bodies will naturally help guide them back to sleep which gives them ample practice all throughout the night. After a full night of teaching your child to self-soothe, these skills will serve valuable the next day at naptime. Although, it is important that the sleep training process includes both day and night sleep. One of the most important elements of my job as a child sleep consultant is to provide support. Even when parents have established a plan, they will always second-guess themselves every time they are having a rough night or an unsuccessful nap. When they question their decisions many times it will cause them to stray from the plan, especially when a parent is already sleep deprived. A child sleep consultant provides that support and encouragement to keep things on track and not let one setback derail the whole process.